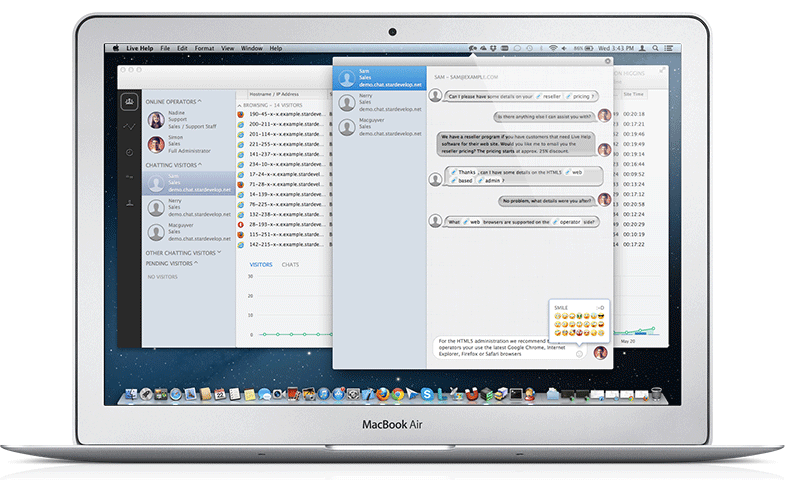 The Chatstack Mac App is an add-on designed specifically for customers using Mac OS X. The application allows to you chat with your customers from your MacBook Air, MacBook Pro or iMac. Quickly chat with your customers and also see how many people are browsing your web site. 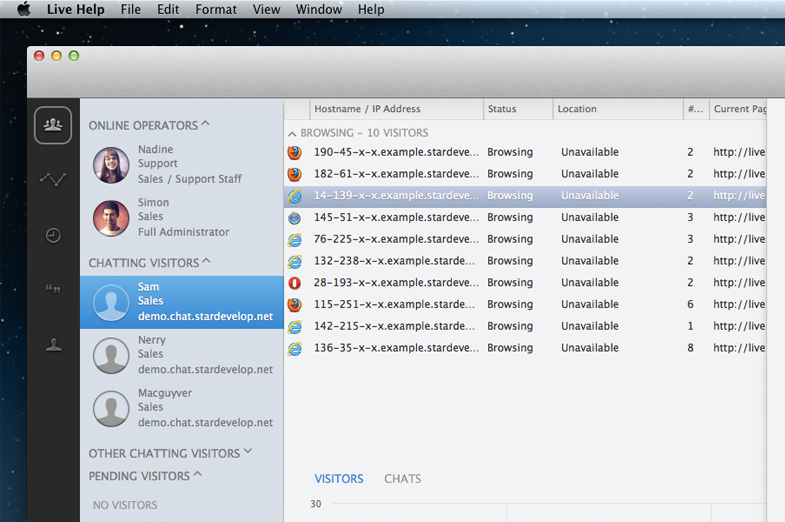 The Chatstack Mac OS X app requires the Chatstack Server Software v4.0 to be installed on your web site. Never miss a chat when you have another app open. The Chatstack Mac app plays sound alerts for incoming chat requests and new messages. Chatstack requires Mac OS X Mountain Lion or above, never miss incoming chats with alerts that are displayed through the Notification Center. 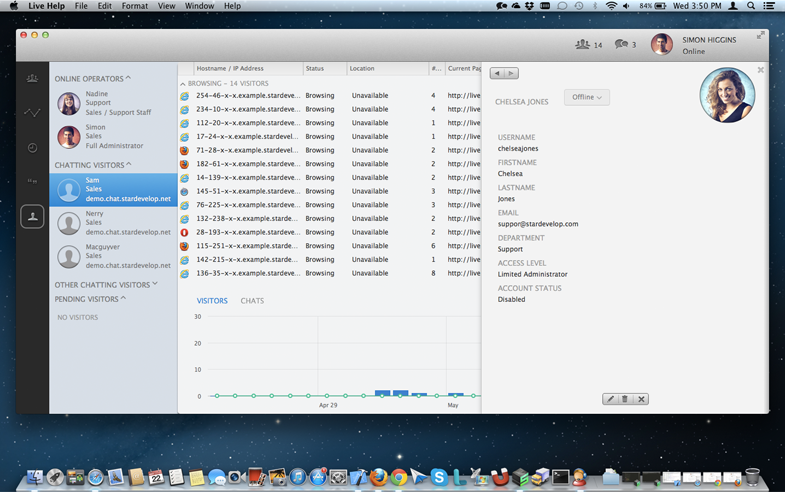 The Chatstack Mac App is available for download for free within the Mac App Store. Updates to the Mac app are also delivered for free through the Mac App store. The Chatstack Mac OS X app requires the Chatstack Server Software v5.0 (or above) to be installed on your web site.